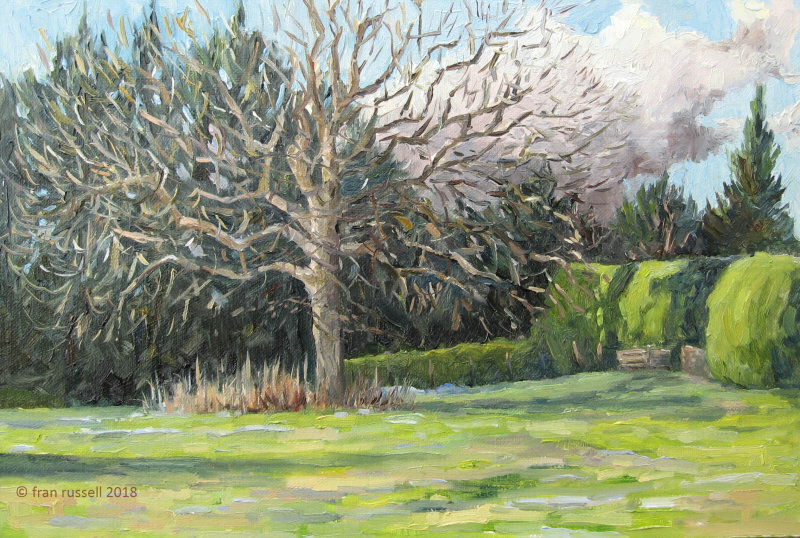 Once the snow had stopped yesterday, I ventured out into the cold to paint the same view I painted in early January. Unfortunately, there was only a smattering of snow left on the grass, but the light was great. I feel as though I am now getting to know this tree and am noticing more! I look forward to seeing it change through the seasons.